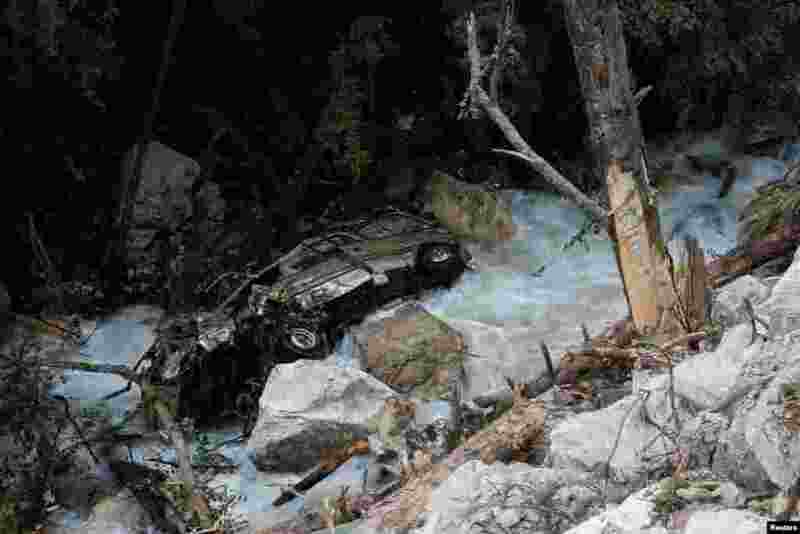 5 A car lies in a mountain creek beside a road that was hit by a rockslide after an earthquake outside Jiuzhaigou, Sichuan province, China. 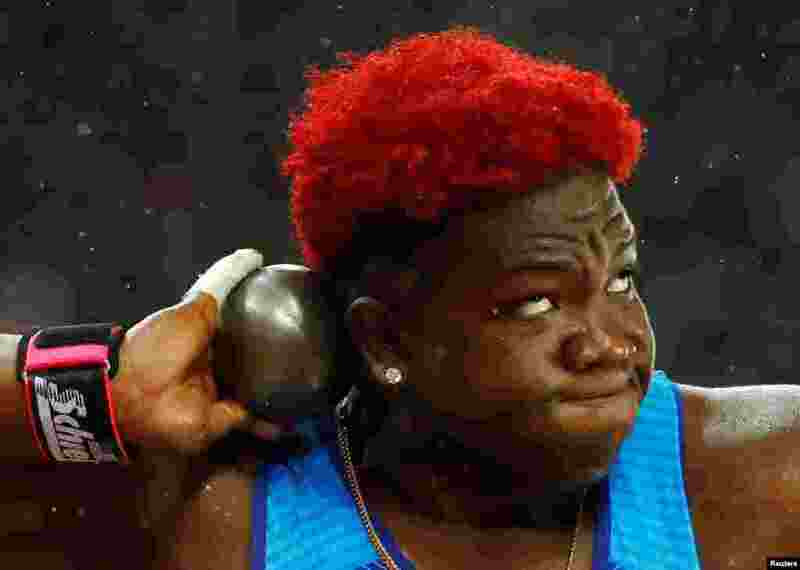 6 Raven Saunders of the U.S. competes in the women's shot put final during the World Athletics Championhsips at London Stadium, Aug. 9, 2017. 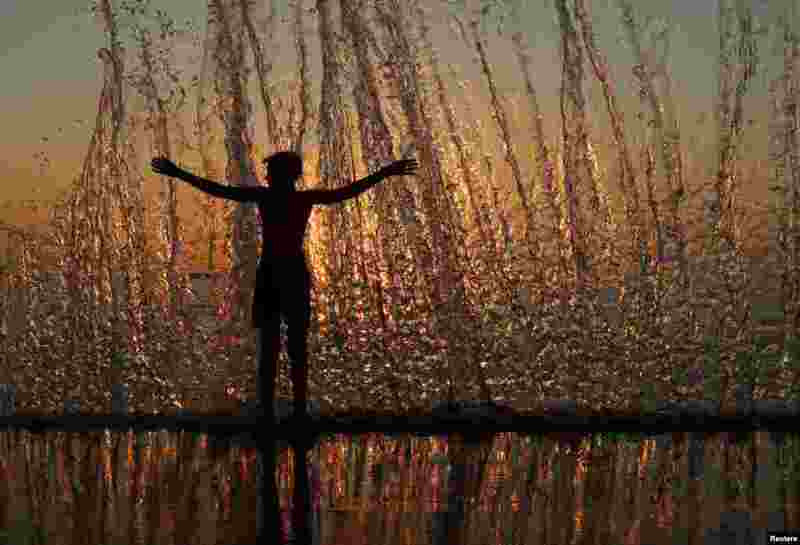 7 A boy enjoys the waves during sunset on an embankment in the Black Sea port of Sevastopol, Crimea, Aug. 9, 2017. 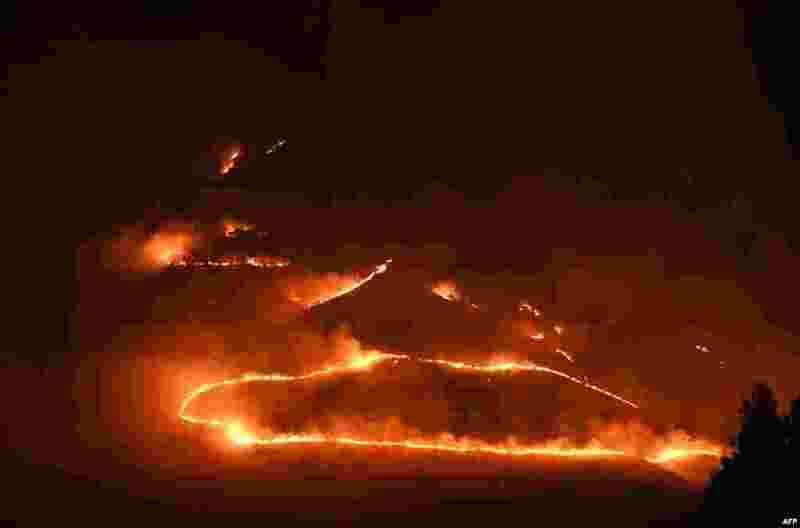 8 Flames and smoke rise from a forest fire near Sarande in the Muzina mountain region, Albania, Aug. 9, 2017.